© Goethe-Institut London The Goethe-Institut London is pleased to announce THE LANGUAGE MAGICIAN is now freely available online. THE LANGUAGE MAGICIAN is a highly successful and popular game for primary learners of German, Spanish, French, Italian as well as English. Its aim is to assess the young learners’ level of competence without the fear of being tested. THE LANGUAGE MAGICIAN has been proven to have an exceptionally high validity and to be able to predict the pupils’ attainment with extreme precision. It is therefore ideal for assessment in primary language teaching and learning and a superb assessment tool for transition to secondary schools. As the THE LANGUAGE MAGICIAN is a digital game it yields instant results at the touch of a button. Building on the successful development of the game with generous support from the Erasmus + programme, the Goethe-Institut can now offer a grant of £ 2,000 to its Digital German networks, the consortia in Wales, Branches of the Association for Language Learning and other relevant organisations for setting up a scheme to introduce THE LANGUAGE MAGICIAN (TLM) into the teaching and learning of German into schemes of work, curricula and other appropriate learning programmes. short online articles about their German experience during training and mentoring with TLM as well as examples of their use of the TLM training or teaching materials over the agreement period. The financial support is furthermore intended to be used for two TLM events within 12 months. The first event is to be held in 2018. These events are to form the basis for the applicant’s digital outreach activities and digital dissemination of best practice beyond the applicant’s organisation. One of the TLM events is to be specifically dedicated to the introduction of TLM into the German classroom. The other event should be dedicated to the use of TLM for assessment with a focus on transition between primary and secondary schools. Part of the funding can be used to buy digital teaching materials for German or materials that facilitate the digital teaching and learning of German. The Goethe-Institut will support the applicants with advice on professional development or up-skilling courses. Additionally, scholarships for a two-week language course in Germany for class teachers are available. The applicants are expected to commit for a minimum period of one year to a sustainable programme embedding TLM into the regular school hours (at least 1 lesson per week) and open to the idea of becoming a model for others. Please note this offer is limited only to programmes offering German. Deadline for applications: 30 June 2019. Schools' Network "The Smart Choice: German"
The number and the extent of these will be discussed with the Goethe-Institut. Schools which fulfill the criteria and would like to be a partner in the new network can apply to the Goethe-Instituts in London (for England, Wales and Northern Ireland) and Glasgow (for Scotland). In 2016 the Goethe-Institut has set up 19 Digital German Networks in the United Kingdom. It is now looking to build on this success and to identify further networks of secondary and/or primary schools that have the intention to start, facilitate and strengthen the teaching of German. At least three schools need to build a network. The lead partner can apply for the funding with the Goethe-Institut. It can be a secondary school supporting feeder schools or a cluster of primary schools reaching out to a secondary school teaching German. It can also be three primary schools in one area wanting to make a start with German or already having started with it. For sharing best practice examples on a digital platform. Short articles about their German experience during training and mentoring as well as examples from training or teaching materials are expected to be published once a month. Schools can take turns and will have a roster about their responsibilities. The financial support is furthermore intended to be used for two events within 12 months. These events are to form the basis for the networks’ digital outreach activities and digital dissemination of best practice beyond the networks.The first event should be a German Day for the network’s own and other schools in the area as well as for attending or hosting a second event in co-operation with the Goethe-Institut. That could be to pay for travel subsidies to come to the Goethe-Institut or pay for an artist to come to the school. The Goethe-Institut will support the networks with professional development or up-skilling courses.Primary schools in the networks are expected to commit for a minimum period of two years to a sustainable German programme embedded into the regular school hours (at least 1 lesson per week) and open to the idea of becoming a model school for others. Intercultural learning, literacy, arts, media education, music and sports are part of the Goethe-Institut’s new scheme of work and will guarantee a learning environment with lots of fun. Please refer to the new primary scheme of work in digital format. Deadline for applications is 30.09.2017. Deadline for applications is 6.10.2017. Schools of the network have already organised a range of activities to promote German at their school and you can find some examples of the events here. Hopefully they will give you impulses and ideas to use at your own school. © Saint Bede’s Catholic High School As part of the Smart Choice: German initiative, Saint Bede’s Catholic High School was aiming to provide in-house German teaching to 4 of their feeder primary schools in 2018. On December 14th the school therefore invited some of these pupils to a German Christmas Workshop. The workshop lasted an hour per school and took place in two of Saint Bede’s language classrooms. All three MFL teachers from the school participated and assisted in this event. The workshop was split into two parts. In the first half, the pupils learned something about German Christmas traditions and were taught some vocabulary. In the second half, each of them were given some euros to spend in the German Christmas Market. The pupils enjoyed every minute of the workshop and their enthusiasm and exuberance made the day extra special. After the success of this event, Saint Bede’s is planning to invite their primary feeder schools back. This time for an interactive German Theatre and Workshop Day on 6th February 2019. © The John Warner School, Hertfordshire We have received £5500 in two instalments from the Goethe-Institut to fund digital teaching of German in our primary schools. With this, we have purchased 20 iPad Minis, a trolley to transport them, numerous apps to use in the sessions as well as refreshments for our host/showcase events. The club is currently running for year 5s at both Cranbourne and Roselands and this will continue for these 10 pupils in each club to year 6. We plan to launch the programme for the next cohort of year 5s in the Winter term. 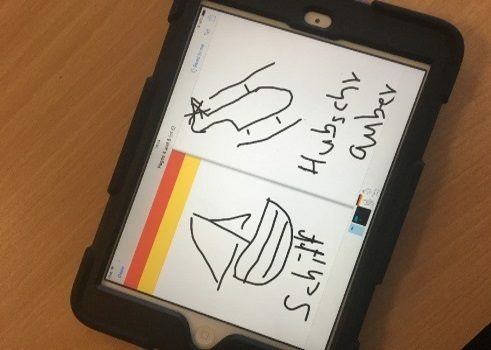 This half term, pupils are using the app ‘Book Creator’ to create their own e-book of a topic they have enjoyed the most for example body parts or animals. The pupils are still thoroughly enjoying the sessions and we have much interest from pupils coming through to join the clubs. On Saturday 17 March Lady Manners School organised the Easter Egg-stravaganza. A dusting of snow in Bakewell, in the heart of the Peak District didn’t deter the Easter bunny’s followers who took part in the German-themed event, supported by the Goethe-Institut. Primary school aged guests were invited to make German themed Easter cards, baskets and painted eggs. They could learn some German; run off some energy in an egg and spoon race; have a go at a musical instrument; test their mental agility in a maths treasure hunt; build a balloon powered car or have a go at a series of scientific egg-speriments. Chocoholics were able to make mini chocolate eggs, in a purpose made bunny-shaped bag, and join the Easter egg hunt. The school was a hive of activity as families threw themselves into all of the activities, whilst learning something of the German language and culture along the way. 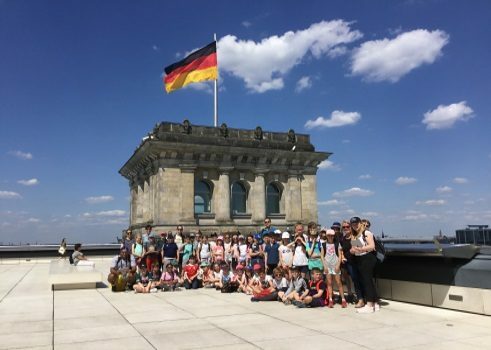 © St Edmund Campion Catholic Primary School St Edmund Campion Primary School in Nottingham have recently taken 45 Year 5 children on a memorable trip to Berlin. 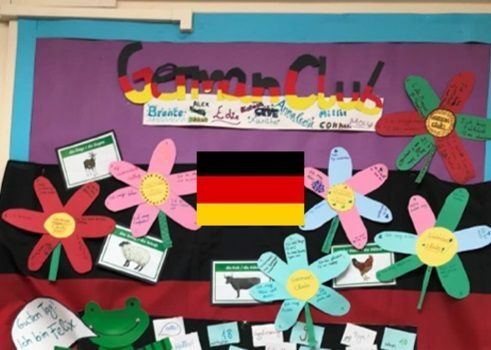 The school teaches German alongside French in upper Keystage 2 and the topic of “Breaking down barriers” forms part of the school’s Year 5 history work. In preparation for their trip, the children visited the Goethe-Institut in London, where they took part in a workshop about the division and reunification of Germany. The Goethe-Institut had composed a very engaging and interactive session, which the children thoroughly enjoyed. Whilst in Berlin, the school visited the Reichstag, DDR Museum, Eastside gallery, Brandenburg Gate, Holocaust memorial in order to put the work they had done in the classroom into a realistic context. The children also spent a day at their partner school, which allowed them to experience school life in Germany compared to England. © Farlingaye High School “During my internship at Farlingaye High School in Woodbridge, Suffolk, once a week I went to Kyson Primary School as a German teacher to offer a voluntary Deutsch-AG after school. The group consisted of ten very active pupils who were eager to learn their first German words. In a mixture of fun and games, the pupils learned German every week starting with greetings like “Hallo” and “Auf Wiedersehen” as well as fruits and vegetables like “Kirsche” and “Gurke”. In a short repetition at the beginning of the 45 minutes teaching unit, the students proved every time how well primary pupils can memorise the words they have already learned. This was facilitated through hand gestures and of course their “German teachers” Felix und Franzi as well as a large amount of visual aids. The interactive games in the middle of the unit not only reinforced the newly learnt vocabulary but also made everything fun and created a feeling of togetherness of the group. which we filled in every week with new German sentences and, eventually, proudly exhibited in the library. At the end of every unit each student chose a sticker for her or his own card of praise. This was not only used to for the register but also to show the students at the end of the time spent together how much they had already learned in such a short time. The Deutsch-AG was not only a super and very recommendable experience for the pupils but also for me as their teacher. I strongly recommend this format to other teachers of German!" © Grundisburgh Primary On Monday the 9th of July year 6 students from Grundisburgh Primary School visited Farlingaye for a German taster afternoon. Anna and Annalena, originally from the University of Wuppertal in Germany and currently on a work placement at Farlingaye, taught the most important phrases you need to know when starting out in a new language. Students then tested two language learning apps to evaluate their effectiveness and appeal to learners. Later they were joined by year 9 students of German at Farlingaye, who had prepared a number of interactive activities and games to teach the year 6 students basic vocabulary, such as numbers, colour and animals. The year 6 students thoroughly enjoyed the afternoon and were engaged and enthusiastic throughout. Grundisburgh Primary would like to thank the Goethe-Institut London for their financial support and the year 9 students for their hard work and commitment when preparing and delivering the activities. Sweets House | © Haberdashers’ Monmouth School for Girls At the start of December Year 9 pupils designed their own gingerbread houses, but this time with a difference; they wanted a Christmas decoration which would last longer than gingerbread, but also be as tasty and attractive. 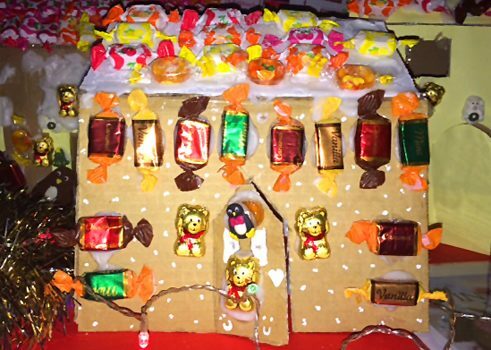 Pupils therefore constructed a house out of cardboard, lined it with coloured paper and covered it with sweets, which they ‘glued’ on with an icing sugar paste. From start to finish the project was great fun and, with the aid of candles, the houses looked delightfully festive! As December progressed, Year 8 pupils baked delicious Plätzchen in preparation for Christmas. 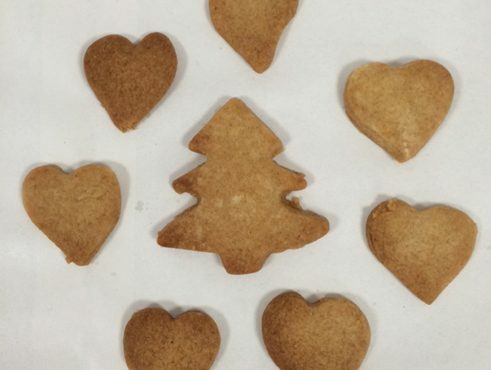 The basic gingerbread recipe is very easy to follow and, if time allows, can be iced. 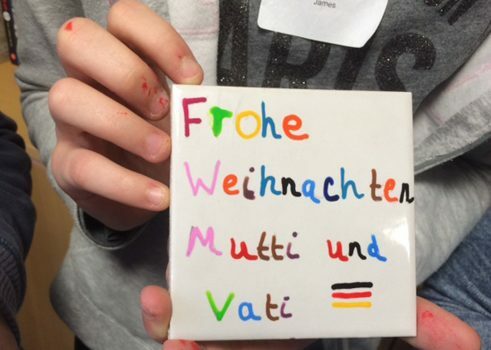 All of Year 8 pupils were invited to take part in a competition to design a German Christmas card. All entrants received points for their houses and the winners had their cards displayed around the school and received a personal prize. 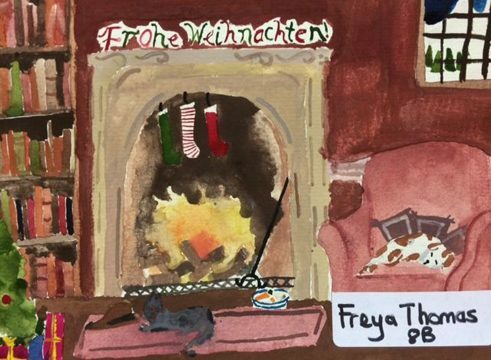 Winning Postcard | © Haberdashers’ Monmouth School for Girls In preparation for the annual trip to the Christmas markets in Aachen and Cologne, it was felt they should set up their own classroom Weihnachtsmarkt, so that they could practice shopping vocabulary. Pupils thoroughly enjoyed buying festive treats form Kinderpunsch to Handschuhe. 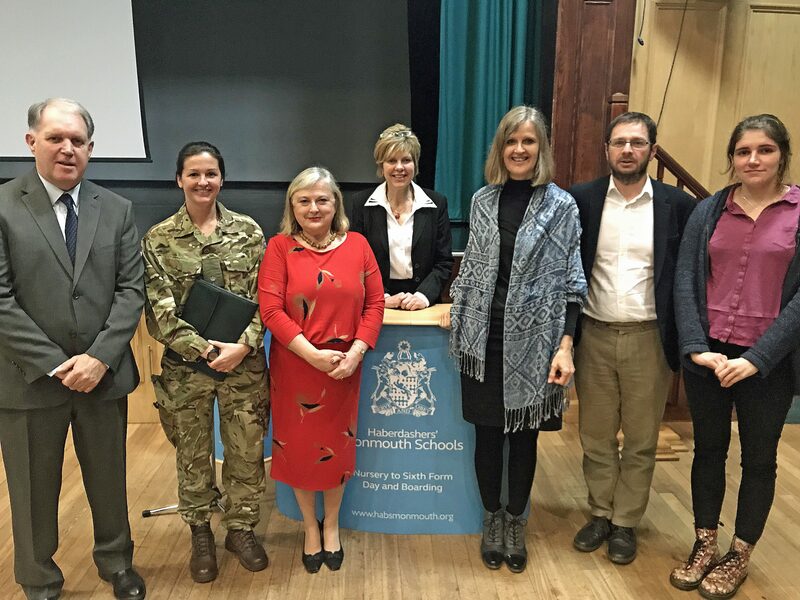 On 16th November 2017 the Haberdashers’ Monmoth School for Girls welcomed six inspirational speakers from different walks of life (please see list below), who delivered speeches on the importance of languages. The school advertised at many of the local schools, including Monmouth, Chepstow, Caerleon and Hereford. As a result the event attracted a packed audience of over 250 pupils and their parents. 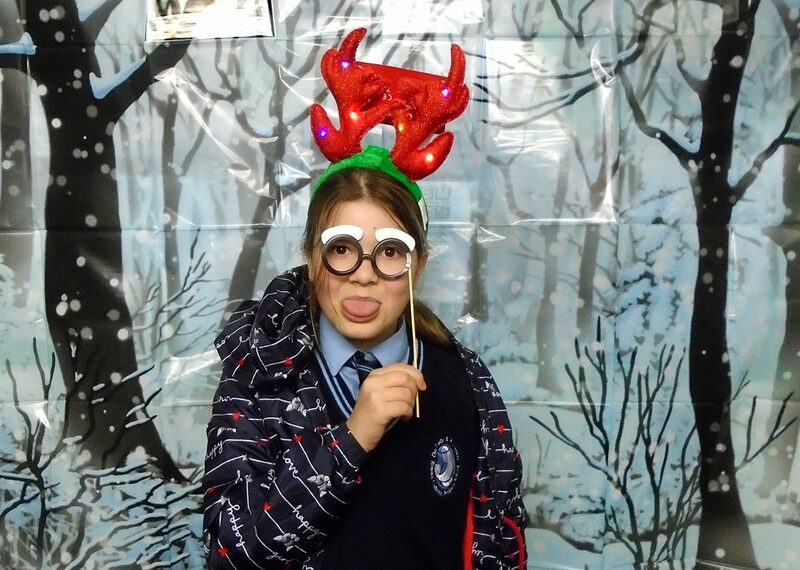 Feeder School Morning | © Haberdashers’ Monmouth School for Girls Year 6 girls from a wide variety of feeder schools sampled their first lesson of German during an activities morning at Haberdashers’ Monmouth School for Girls on Saturday, 12th November. Pupils enjoyed tackling German phonics, greeting each other in German and rapping to German numbers. A highlight included decorating porcelain coasters in a German theme. 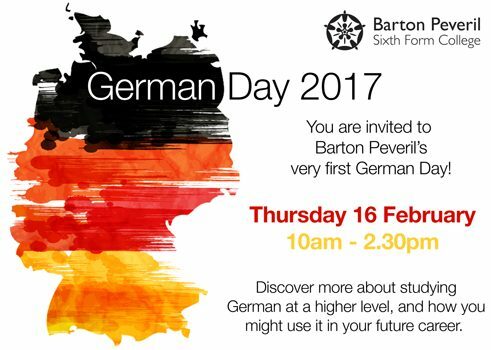 Barton Peveril German Day | © Barton Peveril Barton Peveril invited Year 10 students from local schools to their very first German Day. By running the German Day, they hoped to promote the German language and encourage students to continue learning languages at a higher level. They wanted to get students more involved and enthusiastic about continuing their studies in the German language. Over 100 pupils attended the day. The event ran from 10 am – 2.30pm with a timetable of German Language activities to engage students, and had them go away excited about the prospect of possibly using German in their future careers. 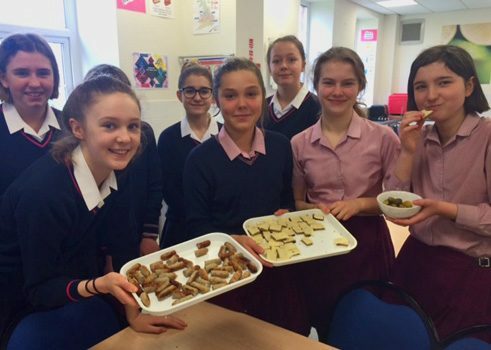 German Food Sampling | © Haberdashers' Monmouth School for Girls As part of the scheme of work for Year 8 pupils Haberdashers' Monmouth School for Girls does food and drink and they like to do a food tasting activity with all of their pupils. Pupils sample the foods and then circulate, asking each other what they thought of the various goodies. They use German bread, cheese, sausage, gherkins, salami, leberwurst, German chocolates and biscuits. It is a simple activity, but very well-received! Habs-Sachs-Club | © Haberdashers' Monmouth School for Girls The Haberdashers’ Monmouth School for Girls’ German assistant, Stephan, has been very pro-active and successful in working on a partnership with their school and one in Sachsen. The girls had great fun in finding a name for their club and eventually settled on the Habs-Sachs Club. 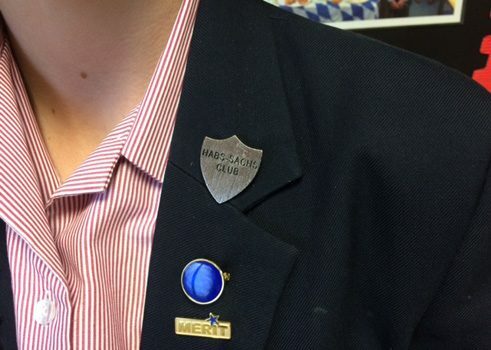 They had badges especially made for them and the photos show the girls proudly wearing them, made all the more exclusive, because only a limited number of girls in the whole school are awarded them! 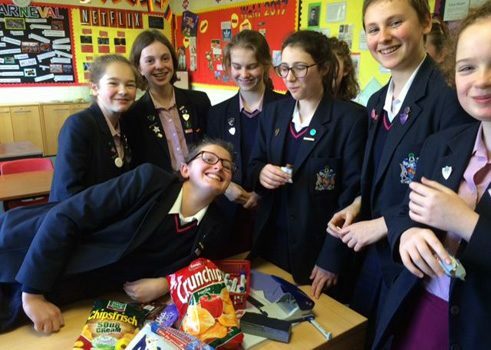 Food Parcel Habs-Sachs-Club | © Haberdashers' Monmouth School for Girls Great excitement ensued when the school in Sachsen sent a food parcel of typical German foods for the Haberdashers’ pupils to sample. They sent one in return, including typical Welsh goodies such as Welsh Cakes. The girls brainstormed their ideas for things to send. 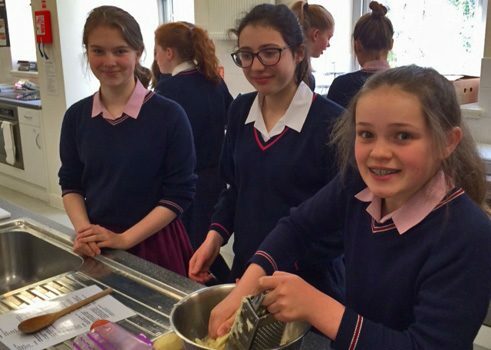 Self-made Reibekuchen | © Haberdashers' Monmouth School for Girls The club members were sent a recipe for Reibekuchen which they made themselves, ate for lunch and then wrote a critique for their partner school. Very enjoyable! On the occasion of the German Teacher Award 2017 organised by the German Embassy London, the Goethe-Institut London offered a best practice seminar on successful networking for German in schools in the UK. By now an impressive number of educational institutions and schools across the country have established successful partnerships as German networks ranging from primary schools to university German departments in co-operation with German and British partner organisations. Representing the various networks, speakers talked about funding opportunities, achieving high attainment for their students and giving examples of the many activities that can support German in schools. 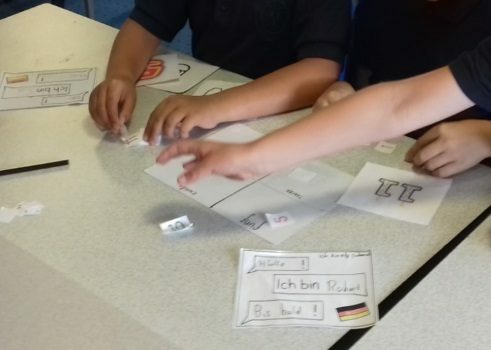 Over fifty students from Bohunt School Liphook, The Petersfield School and Priory School Southsea came together in June 2017 to celebrate the inaugural BET German CLIL Day in partnership with the Goethe-Institut London. This saw students immersed in German for a day in classes of PE, Art and Culture Studies, learning about handball, stencilling and German music - to name a few! The day was modelled on the unique, highly successful CLIL programme at Bohunt Liphook in which students choose to study a third of their timetable in a foreign language. The German CLIL day gave students the opportunity to understand the challenge and rewards that speaking another language in this environment can bring, especially given the importance of the German language in today's world. Some of the students were surprised to hear that German is the most in-demand language among businesses in the UK, or that it is the second most-used language in Science globally, after English. Everyone involved thoroughly enjoyed the day and all students were fantastic ambassadors for their respective schools, rising to the challenges with which they were faced with positivity and impressive teamwork. 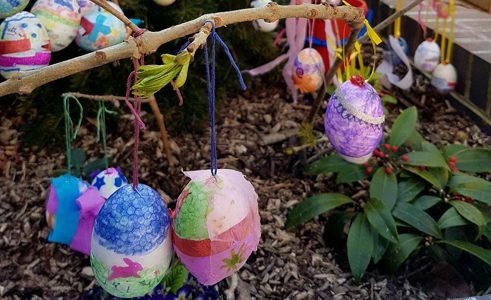 © Photo: Hatcham Temple Grove Free School The children of the Hatcham Temple Grove Free School learned about the traditions and cultural similarities and differences in how Easter is celebrated in England and Germany. Every child in the school then each decorated an Easter egg. Once they had been decorated by the children they hung them up on trees and branches around the school, just like they do in Germany! Many of the parents weren't aware of the Easter traditions in Germany so they learned something new, too! It was a very successful event. © Haberdashers’ Monmouth School for Girls The fairy tales of the brothers Grimm never fail to capture our imagination. 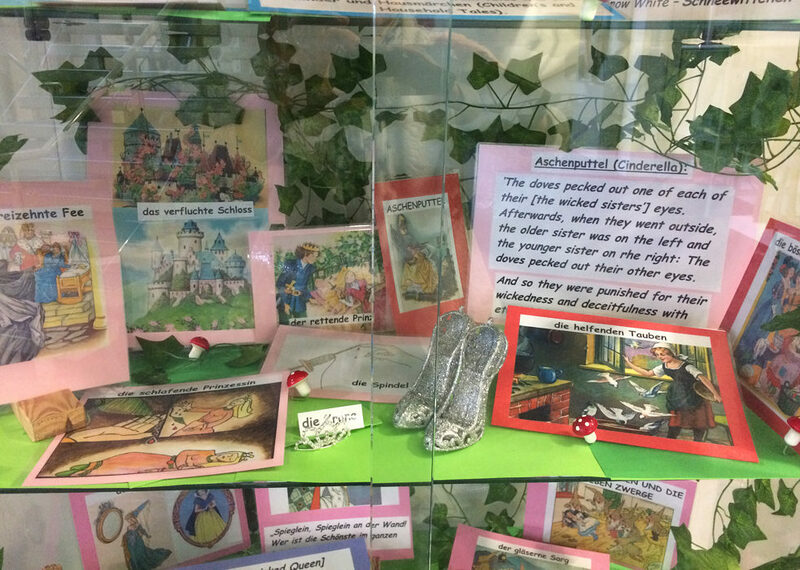 With this in mind, one of the Haberdasher's School's displays this term has featured some of the most popular stories and sought to contrast the original, sometimes horrific, German versions with the gentler Disney versions, intended for today’s younger audiences. Please send an e-mail to Karl Pfeiffer at the Goethe-Institut London.